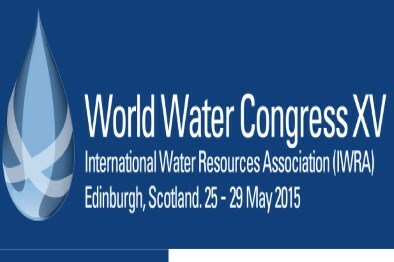 The World Water Congress kicked off in Scotland yesterday (May 25th, 2015). Since 1973, the International Water Resources Association (IWRA) has held a World Water Congress every three (3) years in various locations around the world. The objective of the World Water Congress is to provide a meeting place to share experiences, promote discussion, and to present new knowledge, research results and new developments in the field of water sciences around the world. For almost four (4) decades the World Water Congresses have been excellent events for the identification of major global themes concerning the water agenda; and for the bringing together of a large cross-section of stakeholders for the development and implementation of decisions in the field of water. Tomorrow (Wednesday, May 27th, 2015) you will have a great opportunity to watch and join in on a live discussion session on “Climate Change and Water in Developing Countries” which will feature climate research in the Caribbean. We encourage you to watch and sign into the webcast using this link: http://worldwatercongress.com/webcast/and ask questions in this global forum. The webcast will begin tomorrow at 16:45 (U.K. Time). By caribbeanclimate in News on May 26, 2015 .